With tight deadlines and strict budgets, many companies have found themselves having to rethink the processes of producing mechanical and architectural drawings. CAD has found its way into a number of industries to replace conventional drawing techniques, but many firms still choose to continue using paper-based drawings in the design phase. The problems with paper drawings are that they are time-consuming and cumbersome to produce. They also require investments in the hiring of skilled, experienced craftsmen. Furthermore, when physical paper copies are all you have, they run the risk of being lost or getting damaged. If a few paper plans are misplaced or damaged, it can throw an entire project into chaos. Data loss is decreased by 99%, with digital drawings not being vulnerable to damage or sabotage. It creates permanent digital records of paper drawings for the long term. Far less physical space is required to store digital files than paper ones. There is no need to hire draftsmen to create the drawings. Drawings can be shared digitally, and collaboration options are increased. Not only are drawings converted, but they will also be fully functional and ready for operations as CAD drawings. Broad, diverse experience and expertise across the architecture and civil engineering industries. Well-versed in modern coding practices. Able to convert, as well as identifying errors in drawings and correcting them as necessary. Conversions can be undertaken for plans involving roofing, flooring, foundations, electricals, exterior elevations and many more. What are the benefits to your company of outsourcing paper to CAD conversions? Sub-standard originals can be converted into high-class documents. Raster formats are reproduced to CAD perfect geometry. Much faster than the laborious process of digitising tablets, redrawing, copying and printing your documents. No more misplaced drawings or documents. Greater productivity and increased control. Greater collaboration through shared access to files and databases. By outsourcing your paper to CAD work to Jensen Consulting, you take advantage of an experienced and skilled team with powerful tools at their disposal. You will be impressed with our turnaround times and the accuracy of our conversions, and your drawings will be brought into line with the 21st Century, compatible with all the latest technology for you to edit and share the work with the necessary contractors and stakeholders. 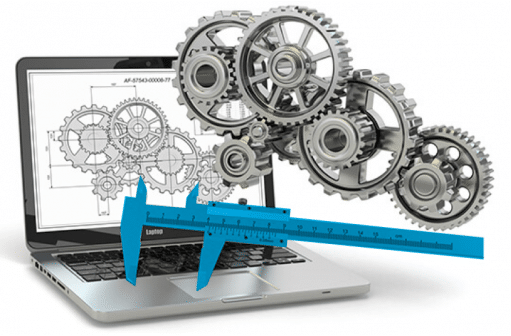 Modern CAD technology is the most powerful design resource there has ever been, and converting paper drawings to CAD will benefit your company in many ways.